It has been a few months now since Tokyo Idol Festival 2018 ended under a blazing sun. However, TOKYO IDOL PROJECT, organizer of the event, is already launching the promotion of the 2019 edition! Tokyo Idol Festival 2019 will take place on August 2nd-3rd-4th 2019 on Odaiba Island in the south of Tokyo. Here are some informations about the event. Next year’s edition will not be like the others, as 2019 will mark the 10th anniversary of the biggest idol festival in the world! Just like for the previous two years, Sashihara Rino will be the festival’s chairwoman and auditions will be held throughout Japan in order to give new idol groups the chance to perform on the Odaiba stages. In addition, the audition will this year be sponsored by the 47 members of AKB48 Team 8. The members of Team 8 are honored to be able to participate in the Tokyo Idol Festival as special supporters of this national audition. We will do our best to realize the dreams from all over the 47 prefectures all together! We are very impatient to meet new idols throughout Japan. As a reminder, the 2018 edition gathered 207 groups with a total of 1315 idols, and 80,000 fans attended the festival over all 3 days. The festival ranked 7th in the list of the most anticipated music festivals in Japan (Nikkei Entertainment!, Issue 12 of 2018), along with world-famous acts like ROCK IN JAPAN FESTIVAL, SUMMER SONIC ou FUJI ROCK FESTIVAL. We can’t wait to discover all the surprises that are cooking for this very special edition, and it will be our pleasure to report all of them on Bonjour Idol! 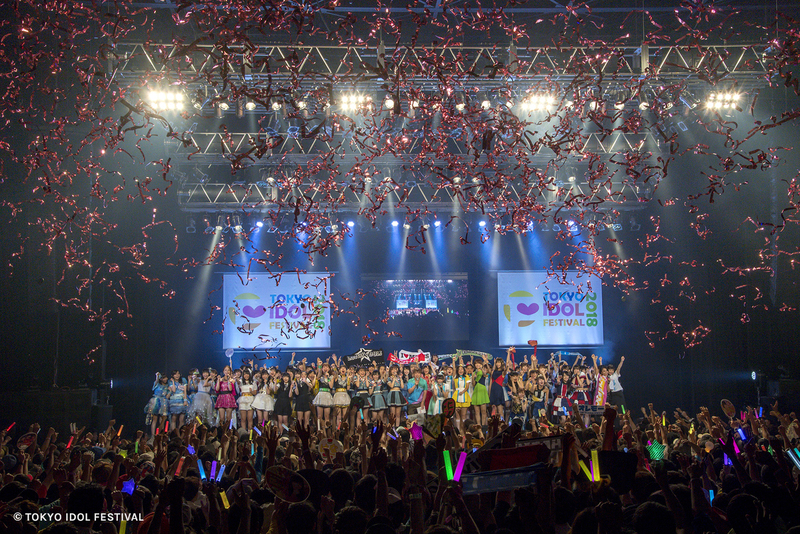 Newer Post @JAM EXPO 2018 Highlights : Jour 1	Older Post Tokyo Idol Festival fête ses 10 ans en 2019 !